Tomorrow starts my last full work week as an employee of the state. 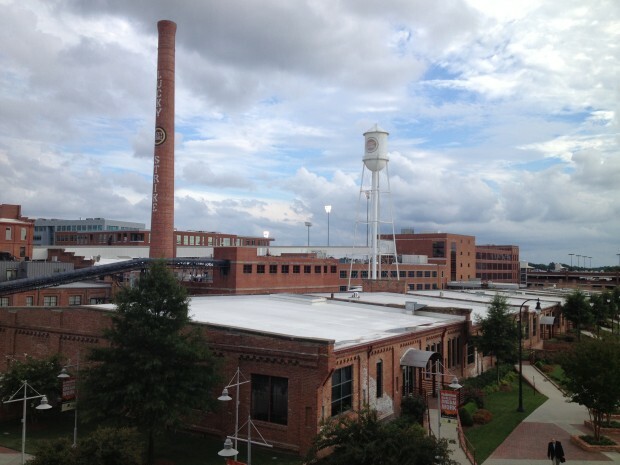 Starting in September, I’m moving to the American Tobacco Campus in Durham (shown above) to join the Duke Web Services team as its Project and Client Relations Manager. Duke Web Services is Duke University‘s internal web design and development group, and it falls under the Office of Information Technology. I’ll be working with a great team on web projects for clients across the university. It’s an exciting opportunity to move into full-time higher education web work! Although I’m looking forward to my new position, it does bring an end to what has been a wonderful chapter of my life and career. For the past year and a half, I have been incredibly fortunate to work with some of the nicest folks in the state at the N.C. Administrative Office of the Courts. Together, we have done quality work and made great progress on key projects, and it has been my honor to serve the state’s Judicial Branch.